The dismantling of some large dangerous trees. 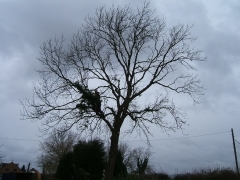 Crown reduction of Willow tree. 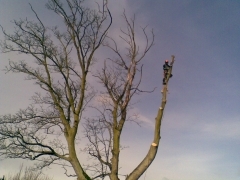 Dismantle of a large fieldside tree. 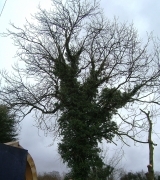 Removing ivy from within the canopy of a tree. Sycamore growing close to building. 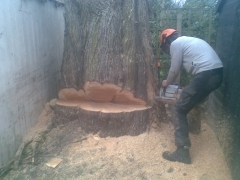 Removal of large Beech due to extensive root decay.